Is Migraine Surgery Right for you? Zones represent the area associated with pain and the nerve or nerves within that area. 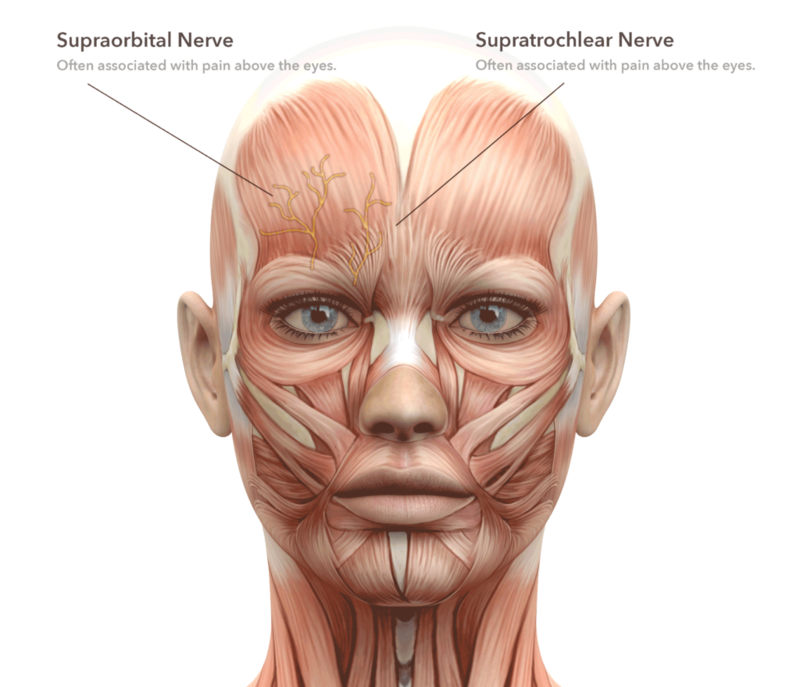 For instance the Surpraorbital nerve or Supratrochlear nerve seen below may be considered Zone 1 to some surgeons. Each surgeon may have his or her own zone configurations, zone 1 might be at the back of the neck for some surgeons. Often times the pain from a migraine will cross from one zone to another. Your surgeon may choose to address one or more zones at a time for surgery. Part of the evaluation that helps determine surgical candidacy involves the identification of peripheral migraine trigger zones that are responsible for the triggering of some if not all of your migraine headaches. Fortunately only a minority (5-15%) of patients have central (i.e. within the central nervous system or brain) triggers which can be persistent and cannot be addressed through migraine surgery. 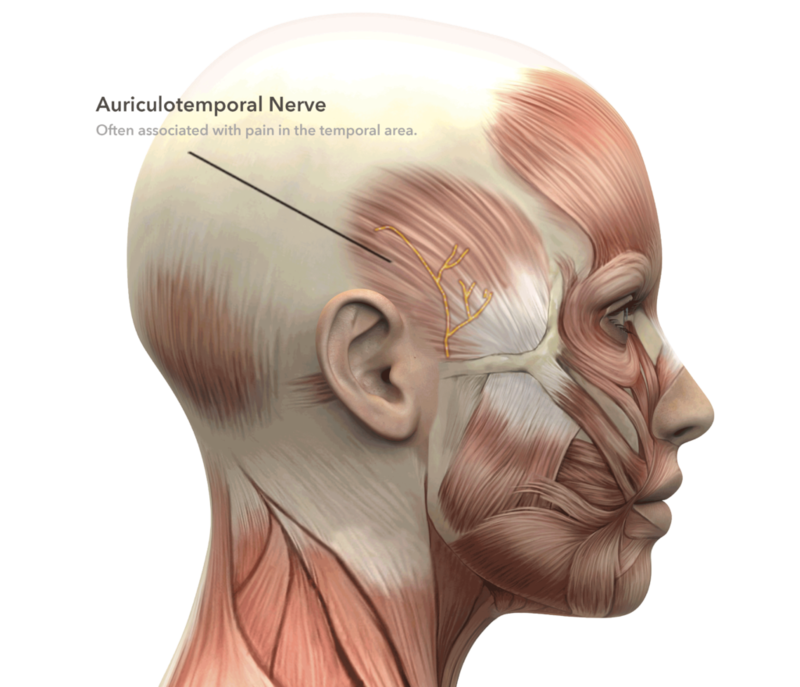 Peripheral triggers involve irritation, compression, vibratory stimulation, or simply errant signal interpretation through primarily branches of the trigeminal nerve (cranial nerve #5) and or the greater occipital nerve. The trigeminal nerve supplies sensation to the face, frontal scalp, nasal and ocular linings. 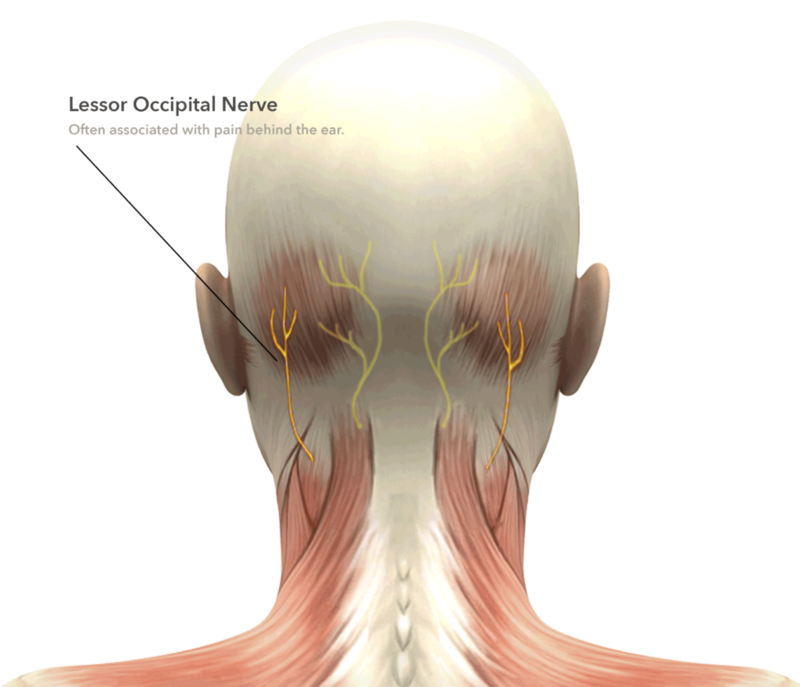 The greater occipital nerve supplies sensation to the posterior scalp. Both of these nerves have a nucleus or “home base” nestled together in the hind brain just above the spinal cord where they also communicate with the brain’s pain relay station, an area referred to as “the migraine generator,” areas responsible for nausea, and other autonomic centers that control secretions and vasodilation in the nose, sinuses, eyes etc. Proximal compression of the trigeminal nerve trunk as it exits the skull is often referred to as tic de Leroux and results in an extremely severe episodic pain, usually in the distribution of the upper two thirds of the face. It has been treated by neurosurgeons with what is called a “microvascular decompression” of the nerve with placement of padding between the freed nerve and the adjacent artery. This is a higher risk, much more involved surgery with similar principles to migraine surgery, but in an area closer to the brain with more critical structures exposed. These similar principles involve freeing a nerve from any compressive structures which can be a tight fiber, scar tissue, an artery, a muscle or even bone. The nerve is then often padded with fatty tissue. Migraine surgery involves the decompression of several of the small terminal branches of the trigeminal and of the greater occipital nerves. When intranasal vibratory stimulation through the trigeminal nerve is felt to be a trigger, elimination of the vibration through opening of the nasal airway is performed. This is triggering through the supraorbital and supratrochlear branches which exit the eyebrow through a notch or a canal in the frontal bone along with an artery, pass from under a fibrous band called the arcus marginalis and then passes through the corrugator frowning muscle before heading up the forehead to the frontal scalp. They can be compressed by one or all the above structures which are released at the time of surgery. This zone can be approached through hidden upper eyelid incisions or through small remote incisions endoscopically at the hairline. The corrugator muscle is removed and replaced with a small graft of fat from the upper lids or from another part of the body. The arcus marginalis is divided and often the supraorbital artery is removed and occasionally a small fragment of bone is removed to convert a boney canal into a less confining notch. Patients can expect temporary numbness of the forehead, scalp and upper lids with possible significant swelling for three to fourteen days. There will be alteration of the brow with less mobility in the frowning muscles and a possible slight elevation of the central eyebrows. For this reason, decompression is always performed on both sides. Some surgeons will perform this surgery without the use of sutures, using dermabond to secure the fine incision. The zygomaticotemporal branch of the trigeminal nerve enters the hollow above the cheek bone and passes through the temporalis chewing muscle before passing through a thick fibrous deep temporal fascia at a point next to the lateral orbital rim in the temple before traveling back towards the ear where it can interconnect with the auriculotemporal nerve. This smallest of the involved nerve branches is a nerve that is routinely cut by cosmetic surgeons performing brow lift surgery without consequences. 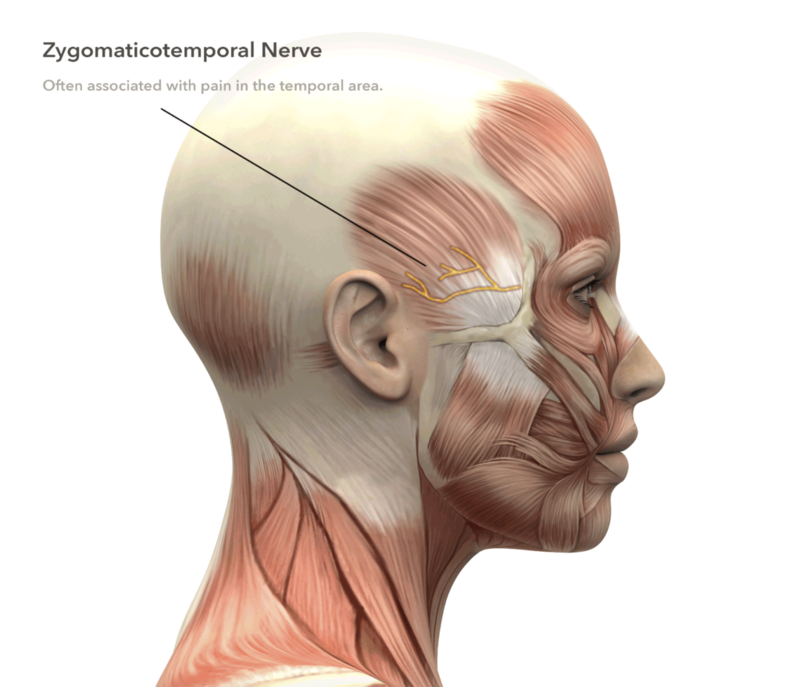 Rather than disturbing the temporalis chewing muscle which can affect eating, this nerve is removed through a remote incision behind the temple hairline which is usually closed with a single removable suture. The greater occipital nerves exit on either side of the middle of the back of the neck approximately an inch and a half below the boney lump on the back of the skull called the nuchal crest. It travels through the semispinalis muscle and ascends beneath the trapezius muscle and fascia and thick layer called the galea as it travels into the scalp where it crosses the occipital artery. Decompression of this nerve involves dividing of any fibrous bands or scar tissue compressing the nerve, removal of a small amount of the semispinalis muscle to assure no muscle encircles the nerve, usually division of the occipital artery which may cross, encircle or pierce the nerve and finally padding of the nerve with fatty tissue. This fatty tissue may come from the neck area or be placed as a graft aspirated with a syringe from the flank area. Patients can expect temporary numbness in the posterior scalp that returns quicker than does the forehead sensation, since the GON is larger and more durable than those in the brow. A removable suture is taken out at around 7-10 days. Branches of the trigeminal nerve can become over-stimulated by friction and vibrations within the nose between the nasal septum in the middle and the turbinates. Turbinates are usually thin fin-like structures (large inferior, middle and small superior) that warm and moisten the air we breathe through our nose. These can be large, particularly in the case of septal deviation. Sometimes there can be a large space-occupying bubble (called conchobullosa) of bone rather than a single eggshell-thin layer between the mucosal lining. Sometimes the nasal septum can jut over into or near a turbinate, occasionally with a spike. Headaches associated with a large septal spike of bone can cause Sluder’s neuralgia which this author feels is an extreme form of migraine triggering discovered many decades ago and given its historically significant name. Less extreme forms of contact and vibratory stimulation in the genetically predisposed patient can play a major, or minor, role in migraine triggering. The surgery involves elimination of the vibrations rather than direct manipulation of the associated branches of the trigeminal nerve that carry sensation from within the nose. The central cartilage of the septum and any prominent septal bone are removed leaving the lining on either side. Often one or more turbinates are reduced either by removal of the thin boney components or by shaving of the area adjacent to the septum. There are dissolving sutures usually along with a dissolvable packing. Patients can expect to be on a preventative antibiotic and nasal irrigations post-operatively. Breathing through the nose can be difficult for the first few days, but ultimately is improved significantly from prior to surgery. 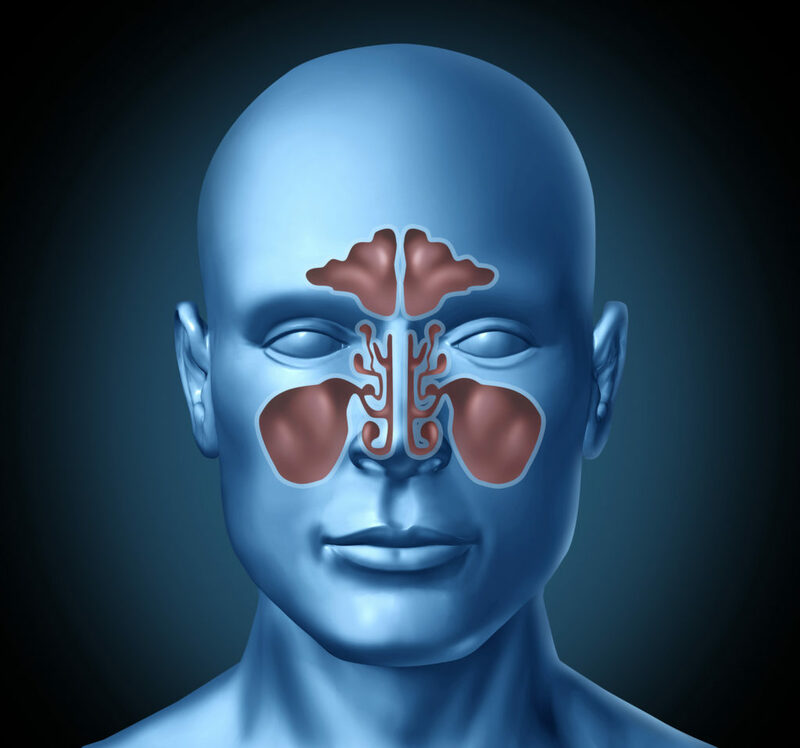 Nasal triggering can take several weeks to resolve after surgery, compared to triggering from other zones which tend to respond more quickly to surgery. The auriculotemporal nerve is a sensory nerve that travels just in front of the ear and ascends into the temple over the deep temporal fascia and is often accompanied by the superficial artery. This artery which gives a pulse in the pillow at night can encircle the nerve and is itself prone to certain autoimmune inflammatory conditions, such as temporal arteritis. In a few patients it has been effective to make a small incision about the sideburn area and remove a segment of the superficial temporal artery from around the nerve. Other patients have had relief with removal of the auriculotemporal nerve itself which supplies a small amount of sensation above the ear which would be sacrificed. The lesser occipital nerve travels lateral to the greater occipital nerve traveling behind the bone behind the ear called the mastoid bone. 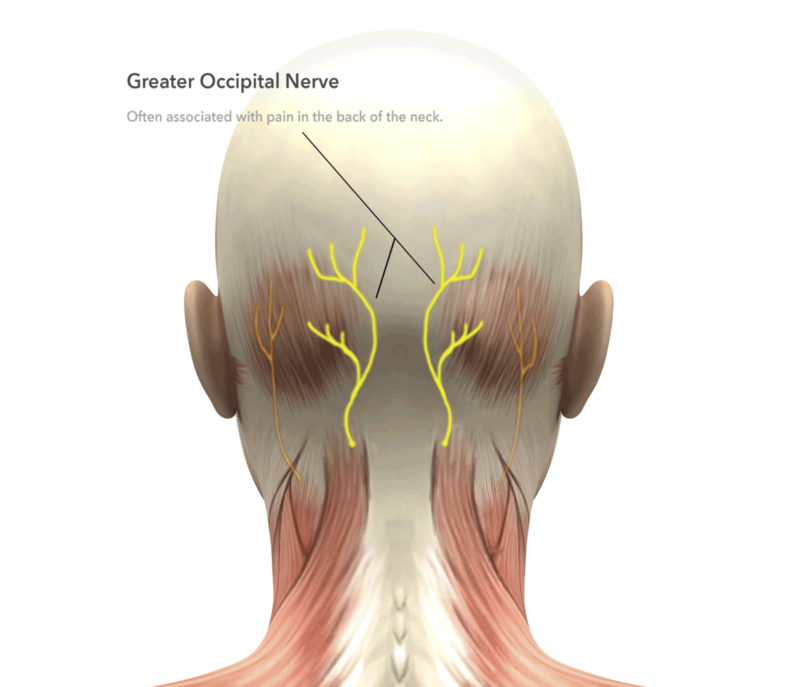 This nerve is often decompressed at the same time as the greater occipital nerve, if not removed and implanted into deeper muscle. Its sensory distribution is very small leaving a negligible area of sensory loss if it is not preserved. Dr. David Branch is a board-certified plastic surgeon specializing in Plastic and Reconstructive Surgery. Over the past fourteen years he has performed hundreds of successful migraine surgeries and has a passion for advocating for Migraine sufferers. He also performs breast augmentation, tummy tuck (abdominoplasty), liposuction, breast reduction, breast lift, rhinoplasty, eyelid surgery (blepharoplasty) and face lift.